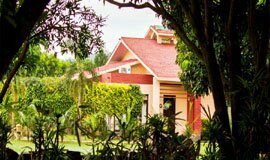 Spread over an area of 13 acres the Corbett Hideaway is concealed in the thick of a mango grove, where in season, the mangoes hang ripe.. Sprawling over 6 acres of exquisitely landscaped estate, at the edge of Jim Corbett National Reserve, The golden tusk boutique agro resort. 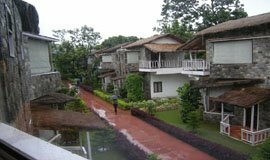 The resort is 9 kms from the Ramnagar railway station and 6 km from the bus stand. The Dhikala gate of the Tiger Reserve is 12-14 kms away. 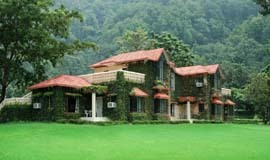 Camp River wild resort is perfect example of breathe taking architecture where nature is preserve in Jim Corbett. Ashoka's Tiger Trail Best Deluxe Luxury Resort, Hotel speaks of a True Eco and Wild life Resort. "The place is a decent place to stay with you family/ freinds or even close associates. The place offers a great stay with friendly staff.we arrived at the reception and were greeted by a very cute looking steward who was very small in height and dressed like a jungle ranger/hunter. 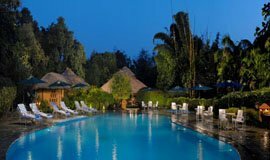 very jolly in nature and this made a very positive impact on our decision to stay at the resort"
4 star hotels in Corbett are properties which offer deluxe guest experience with wide range of luxury amenities and services. Hotels offer personalized services to the guests keeping in mind needs of the guests. 4 star Resorts in Corbett offer luxury cottages designed in very expressive way to impress the guests with a tender natural feeling with the touch of present day luxury. Swimming pool, open lawn area, spa, sauna are included in order to make the experience refreshing and rejuvenating for guests. Rooms are beautifully designed with amenities like mini bar, tea/coffee maker, big screen LCD Television, refrigerator etc. 4 star hotel in Corbett focus of keeping up with the surrounding nature by eco friendly ways to serve the guests. 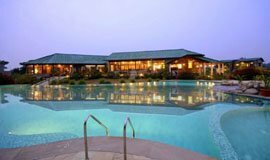 Corbett Leela Vilas, Brys Cave, The Golden Tusk are most expensive and best 4 star Hotels in Corbett. Hotels offer amenities like 42 inch LCD Television, DVD Player, Swimming pool, gym, fitness center. 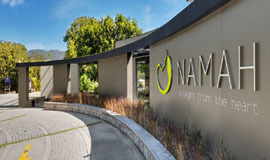 Hotels offer personalized services and range of suites depending according to the need of Leisure or Business Traveller. Dhikuli is a village in Ramnagar Tehsil in Nainital District of Uttarakhand State of India located at a distance of 8 km from Ramnagar. Ramnagar, Kaladhungu, Nainital, Kashipur are the places nearby Dhikuli Village Ramnagar. Ramnagar railway station is the nearby railway station from Dhikuli and Kathgodam 54 km is the major railway station nearby Dhikuli. 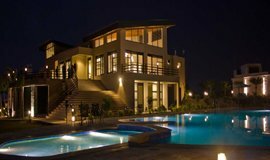 Corbett Leela Villas, Serenity Resort are some of the 4 star Hotels in Dhikuli, Corbett Ramnagar. Marchula is a small Tourist Spot in Nainital district of Uttarakhand State of India. It lies close to Betalghat a small town having a post office and a market place. The nearest railway station is Ramnagar is 55 km from Betalghat. 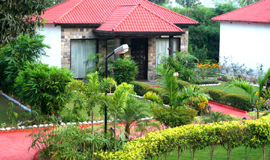 Salluna Resort, Corbett Ramganga Resort are 4 star Resorts in Marchula Corbett. Bhakrakot is a village located at a distance of 16 km from Ramnagar railway station. It is small scenic spot to spend your vacations inside the Corbett National Park.1 star hotels and Resorts in Corbett Bhakrakot are located amidst the jungle surrounded by deep forest and offer you a breathtaking off-road experience. 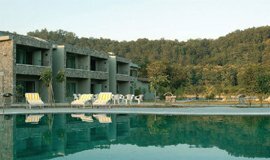 Brys Cave is an awesome Luxury 4 star Hotels in Corbett. 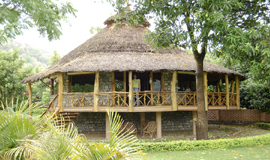 It offers best accommodation in Corbett with several luxury cottages with blend of nature and modern amenities. Dhela village is newly opened zone in Corbett; it was a village which was relocated under project Tiger. The zone focus more eco tourism my maintaining the balance with nature. Dhela zone is becoming a major tourist zone in Corbett. The Golden Tusk, spread over 6 acres is one the best Hotel in Corbett is located in Dhela. 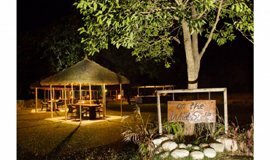 The Golden Tusk offer you a restaurant and a massage parlour, 24-hour front desk and BBQ facilities. Ramnagar is the entry point of Jim Corbett National Park. Ramnagar has more the 100 Hotels and Resorts. Ramnagar is known for its rich flora and fauna. 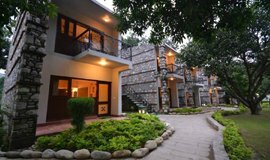 The 3 star Hotels in Corbett are placed peacefully on the banks of river Kosi. The warm ambience, state-of-the-art amenities and loving hospitality makes the stay a memory for lifetime. 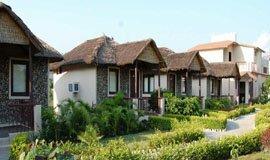 Jukaso Manu Maharani Resort, Corbett Leela Villas are two good 4 star hotels in Ramnagar Corbett. 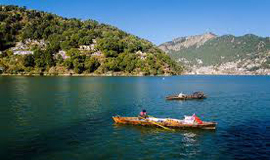 Nainital is popular hill station and resort town located in Kumaon region of Uttarakhand state of India at a distance of 64 from Corbett Ramnagar. 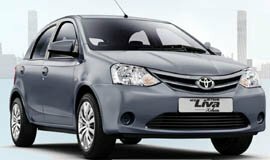 Nainital is known for several tourist attractions and places to see. Nainital is the best place to spend a weekend away from the nerve wrecking city life. 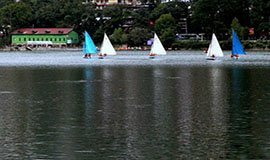 Naini Lake, Naina Devi Temple, Eco Cave Garden, High Altitude Zoo are some of the many places to visit in Nainital. Strolling on Mall Road Nainital on the evening with the cool breeze flowing through the lake has its own charm. 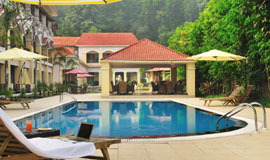 Manu Maharani is a good 4 star Hotels in Nainital with 5 star facilities. 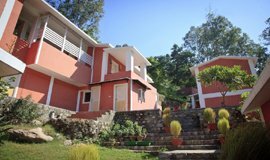 It is one of the best Hotels in the Kumaon region. Staying in Manu Maharani Nainital ensures the finest holidays in Nainital. Mukteshwar is a famous tourist destination in the Nainital district of Uttarakhand India located at an located of 2286 meters 115 km from Ramnagar, 51 km from Nainital. Mukteshwar is famous for a 350 year old Lord Shiva Temple Mukteshwar Dham after which it was named. 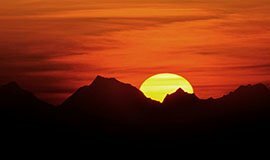 Mukteshwar offer panoramic views of snow capped peaks of Himalayas. It is beautiful place and you should visit it. 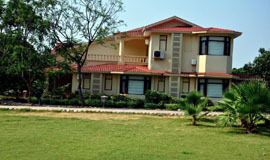 Hotel The Hide Out Crimson Hills, Hotel Cottage Nirvana are two good 4 star hotels in Mukteshwar. 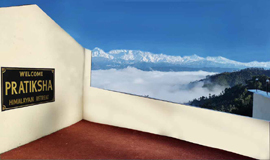 Hotels are located in a secluded place and offers uninterrupted view of snow capped peaks of Himalayas. 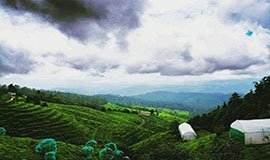 Ranikhet is located at a distance of 96 km from Corbett; Ramnagar is beautiful hill station and a cantonment town in the Indian State of Uttarakhand. Ranikhet is located at an elevation of 1869 meters above sea level. The climate of Ranikhet is very cold and there are lot of beautiful places/tourist attractions in Nainital. No Matter what the seasons a visit to Ranikhet will always be a trip to remember. 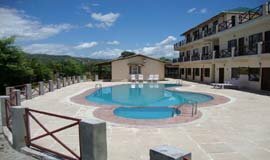 Hotel Welcome Heritage Windsor Lodge is a 4 star hotel in Ranikhet. Ramgarh is located at distance of 90 km from Ramnagar, 333 km from Delhi and 312 km from Dekhradun is a beautiful hillstation known for its wildlife. It is located in between the route from Mukteshwar to Ramnagar. Ramgarh is visited by many migratory birds and several exotic wildlife species are seen here in Ramgarh known as the� Fruit Bowl of India�. 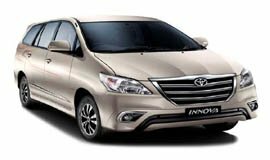 There aren�t any 4 star hotels in Ramgarh still you can find decent luxury accommodation in Ramgarh according to the needs. 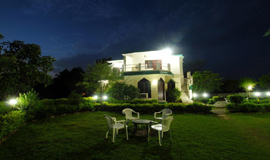 4 star hotels in Corbett are the luxury and most expensive hotels in Corbett Ramnagar. Hotels focus on achieving the best ambience and offer personalized services to the guests. Hotels promise to emerge as the serene getway from the backbone broking city life. 4 star Hotel in Corbett offer dining experience to open your taste buds with delicious food served in the multi cuisine restaurant of Hotels. 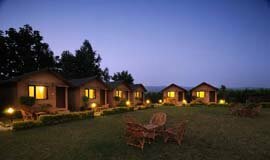 4 star hotels in Corbett are quiet and place with beautiful sounds of river and humming of birds in Corbett. 4 star Hotels in Corbett are spread across Dhikuli, Dhikala, Durga Devi, Village Kyari, Ramnagar, Dhela etc. 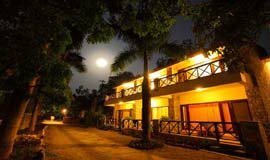 Booking a 4 star hotel in Corbett ensures the booking of a splendid vacation with luxury 4 star accommodations in Corbett. 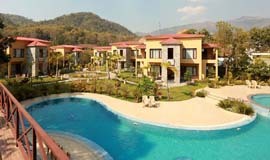 Next time book online a 4 star hotel in Corbett with Allseasonsz.com at cheap rates with deals & tariff. Choose from the personalized services and package from list of holiday package in Corbett. 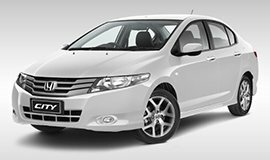 Read reviews, get recommendations and much more at Allseasonsz.com. 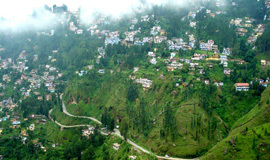 4 Nights Ranikhet | 1 Night Nainital .